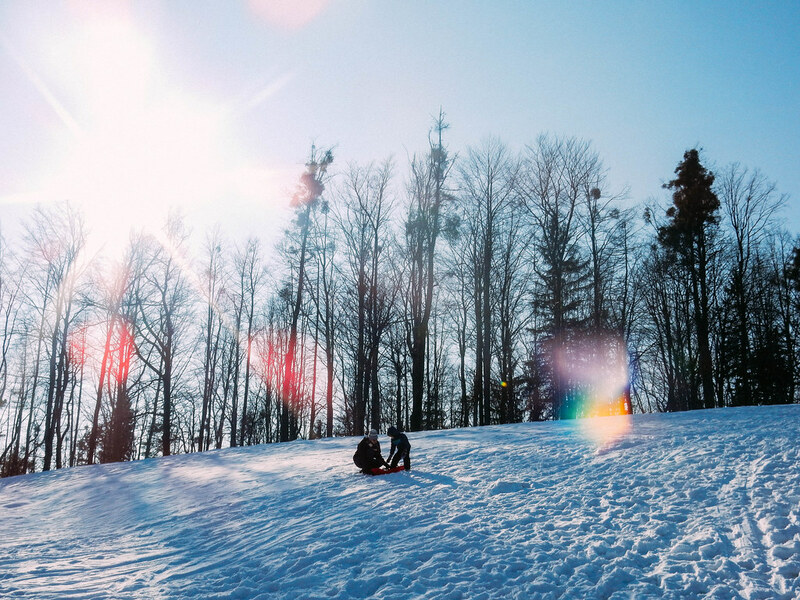 Today was a beautiful, sunny day in Czech. 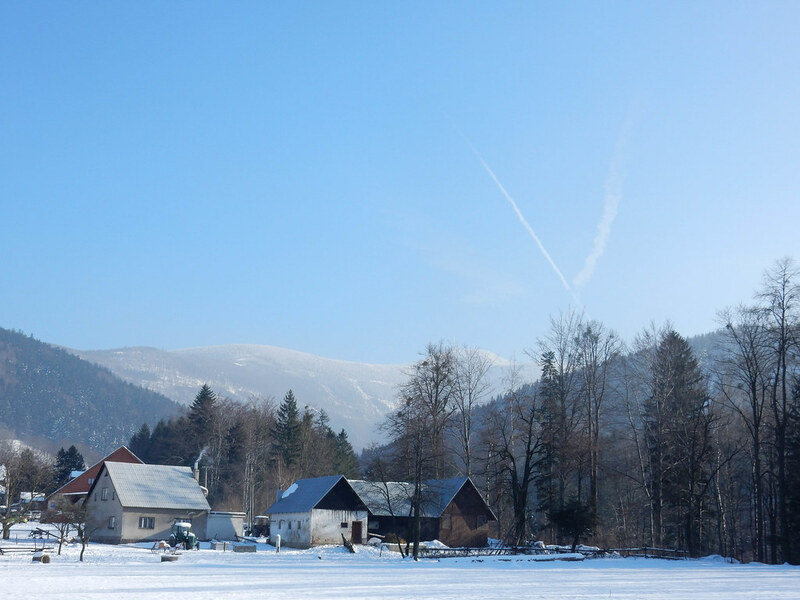 I don’t remember seeing a single cloud, even though as I write this evening the clouds are rolling in for another round of snow. 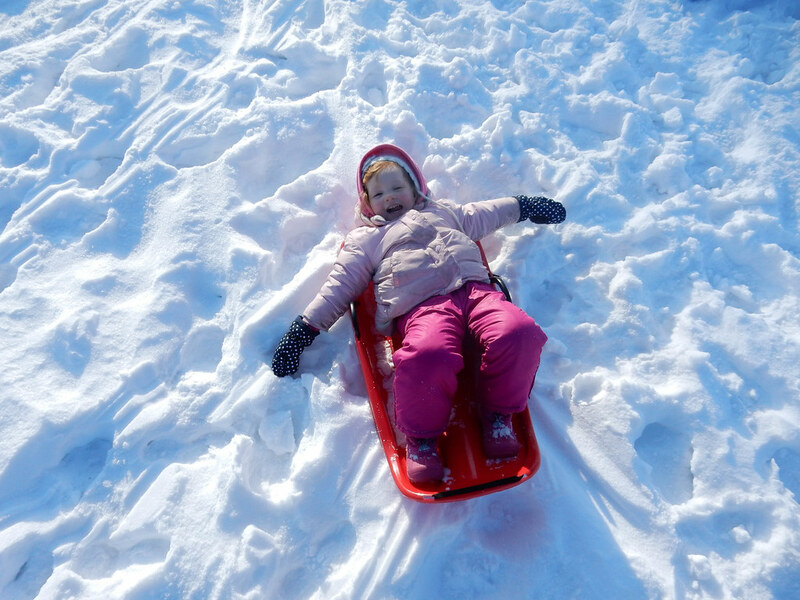 Our plan to go sledding today came to fruition and we had a blast! 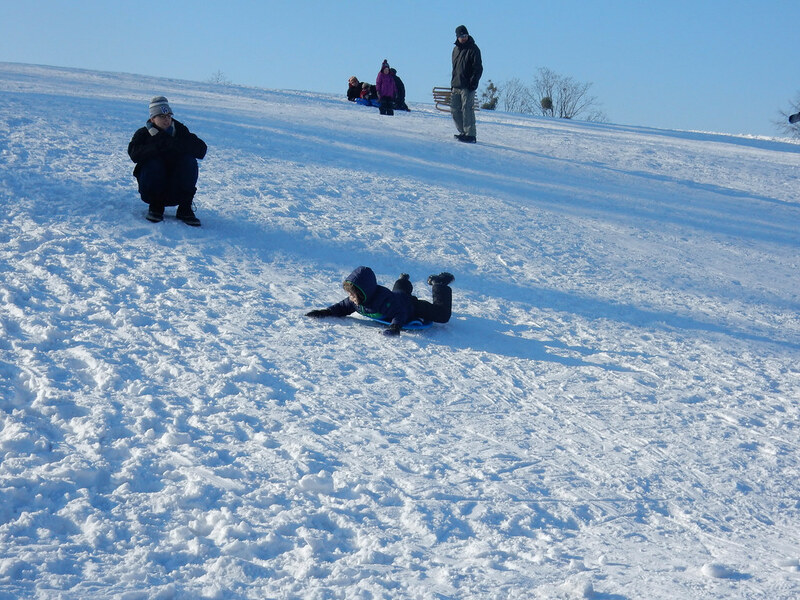 It’s hard to describe Titus’ excitement when we made it to sledding hill, but he was basically squealing and jumping up and down. The hardest part was keeping him from running to the hill himself while we got everyone in their snow gear before heading out to it. This specific hill (shown below) was one I saw while teaching last week at the Josiah Venture Leadership Academy. There were a lot of other families there today, and now I know why. Not only was the hill easy to get to, it had great runs which today were really fast since it was around 26 degrees outside and the snow was packed down hard. 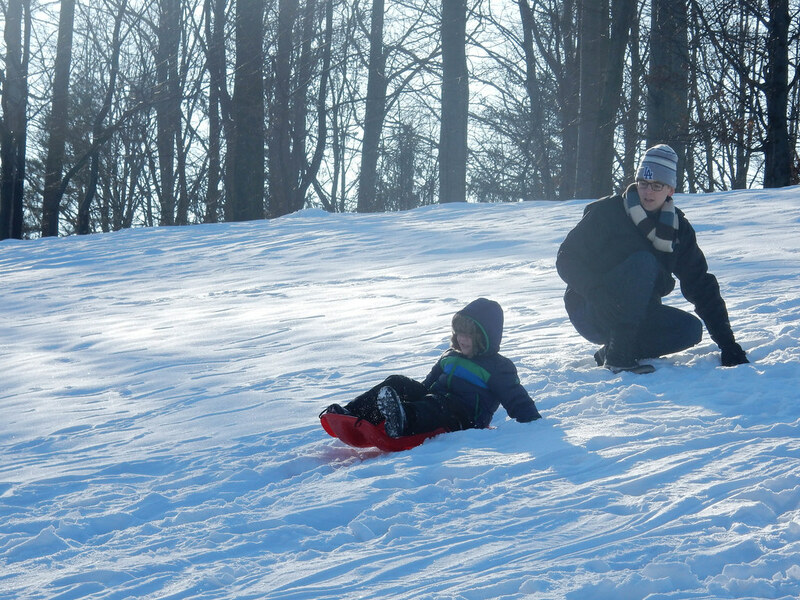 I’m pretty convinced some of those Czech kids were moving around 20mph down the hill. Our kids weren’t so ready for those kinds of speeds so I would take them about half way up and send them down on their bellies at first (like Titus in the photo below). 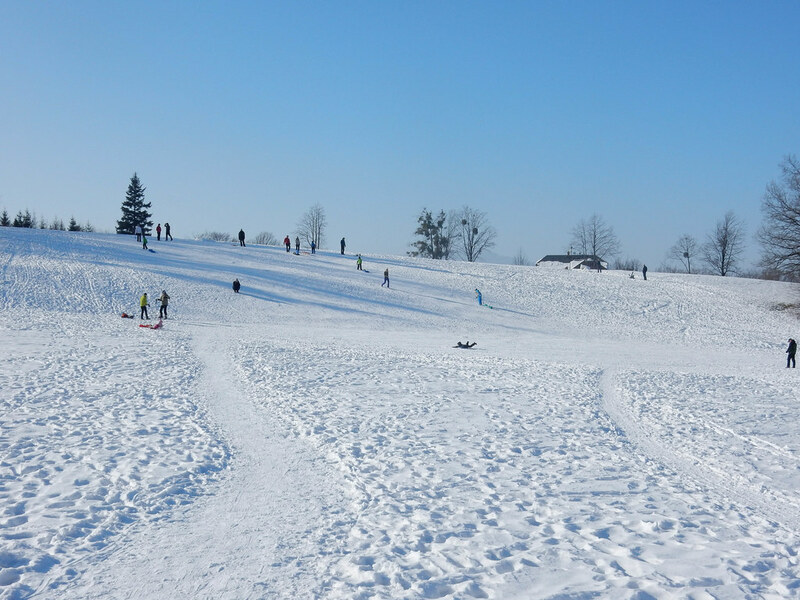 We got a couple of cheap plastic sleds this morning that worked really well. Here’s a video of Avery heading down on her own. You’ll see just how far and fast she could go and we were only half way up the little hill! Here’s a video of Titus using the red sled in a sitting position. He mostly liked the little blue slide that Avery was using, but I’m glad he was brave and tried the bigger one too. In this video he puts his arms behind his head like he’s relaxing and then crashes. But like any boy having tons of fun he gets up quick and smiles for the camera with mommy cheering him on. Here’s a few more photos that Bethany got while we were playing and having fun. If there is “Part 2” to this post, then this is it. Tonight I was able to attend our church’s youth meeting which happens most Saturday nights at 5pm. 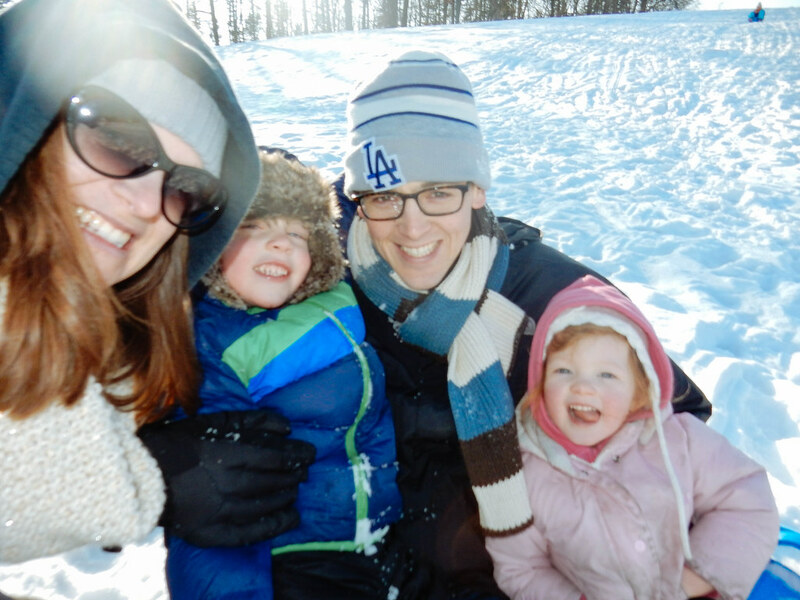 Bethany stayed home with the kids because they were basically exhausted from sledding. It was a sweet time with the young people, and I had the chance to talk with a young man named Simon. At 19, Simon already speaks five languages (Czech, Polish, English, German, and Slovak), not to mention a local dialect called “Poneshemu.” He’s a great guy and plans on going to university (college) next year to study engineering. We were paired up tonight to play a game where I tell him what I see on a piece of paper that was given to me and he draws it. The only catch is that we’re sitting back to back and of course he can’t see what I’m looking at. 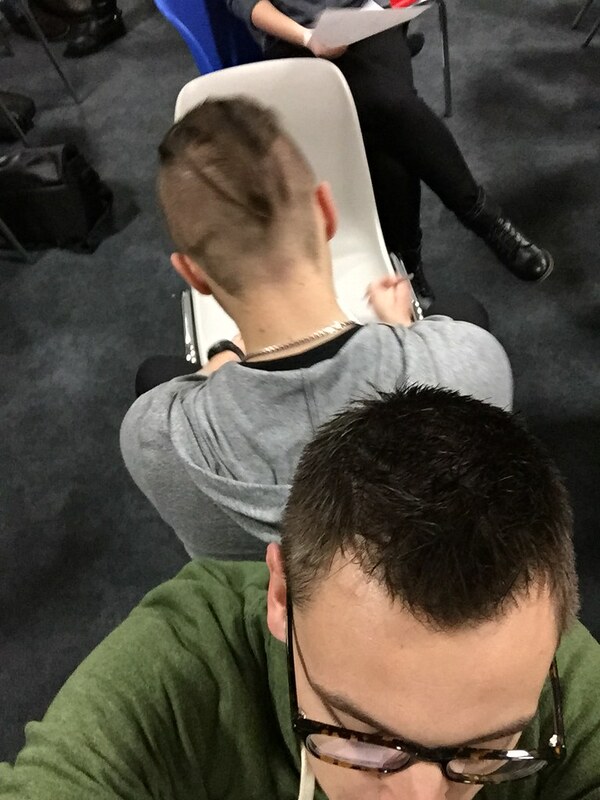 I thought it he did great and here’s a photo of us during that little game. They also prayed for our friend Misa who is heading to America to study. I got a photo of the prayer time and I thought it was really neat to see them kind of send her off. They also sang a song in Czech to the tune of Happy Birthday, but I’m not exactly sure what they were singing. After a testimony from a gentleman in the church, there was a shortened message from one of the gospels (I couldn’t quite figure out which book we were in!). Then we spent some time singing an English song that had a bunch of motions. 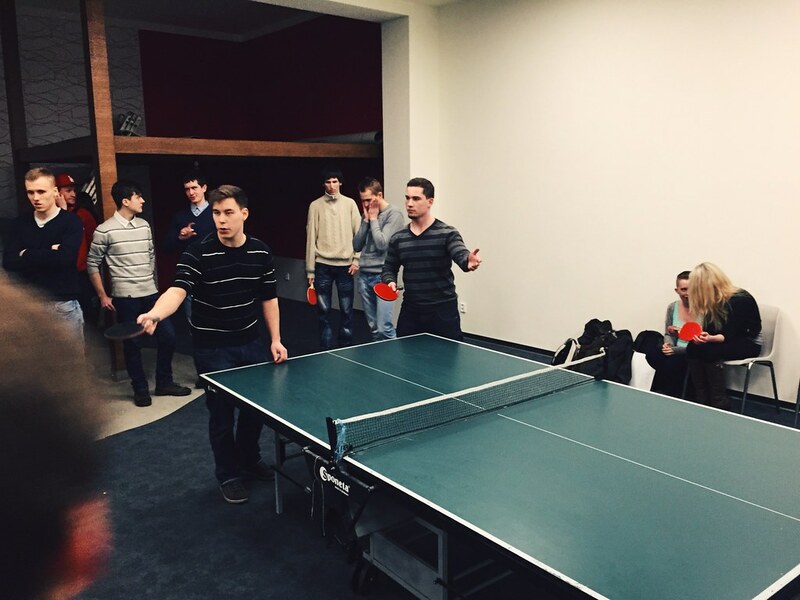 After that we all played a little round table ping pong, but there weren’t enough paddles so I used a clipboard. I did not win. Here are a few more photos. 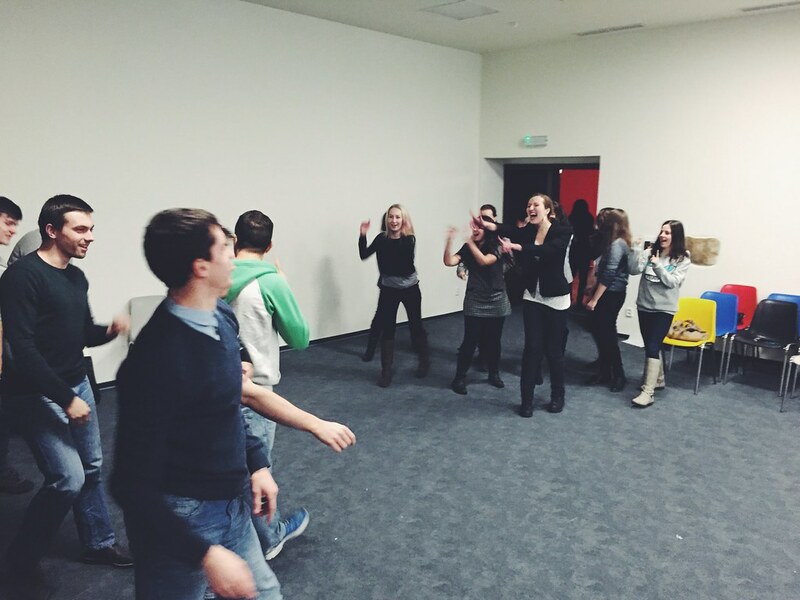 One fun thing about youth group was that this was the first time I got to see the new youth room that has been being built since before we arrived in Czech. They’ve only been meeting in it for a few weeks and it’s really, really nice. It has basically been a labor of love as many volunteers have helped build it from the church. 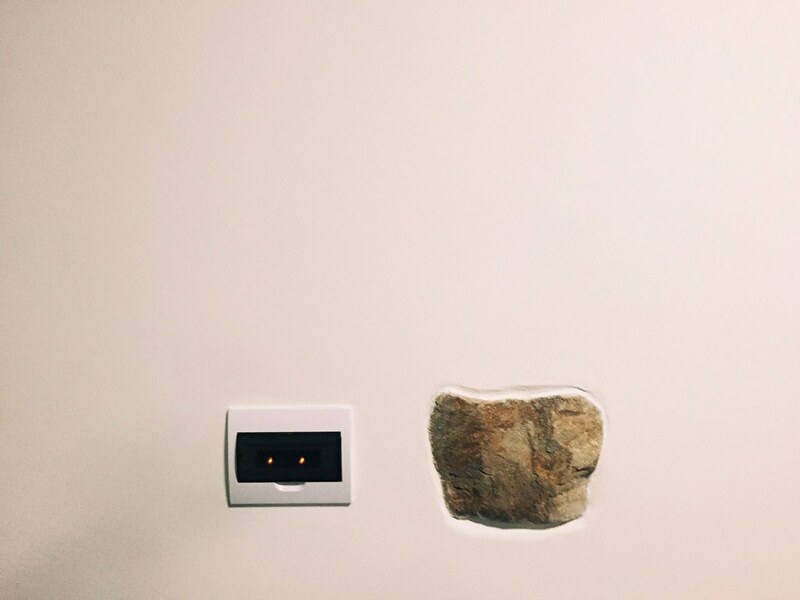 In fact, in one of the walls there is a large stone sticking out (shown below) that confused me. I asked Simon what it meant and he told me that he didn’t know how to explain it English, but they have a word for it in Czech. Essentially, he said it’s like a piece to remember that the building was, in his words, “built by this generation” and they should remember that. It sounded like a neat thing to me and I took a photo of the stone, which sits near the entrance next to the light switches. Finally, a few avid blog readers know that our friends Jenny and Landen moved to Czech a few months after us and we were all living in the same town in California before coming to Czech. Jenny is actually from Czech and Landen is an American, but they have been in the states for I believe 6 or 7 years. Their current ministry focus is with the youth group at our church and I saw them tonight and Landen invited me over to their place tonight to chat and catch up. 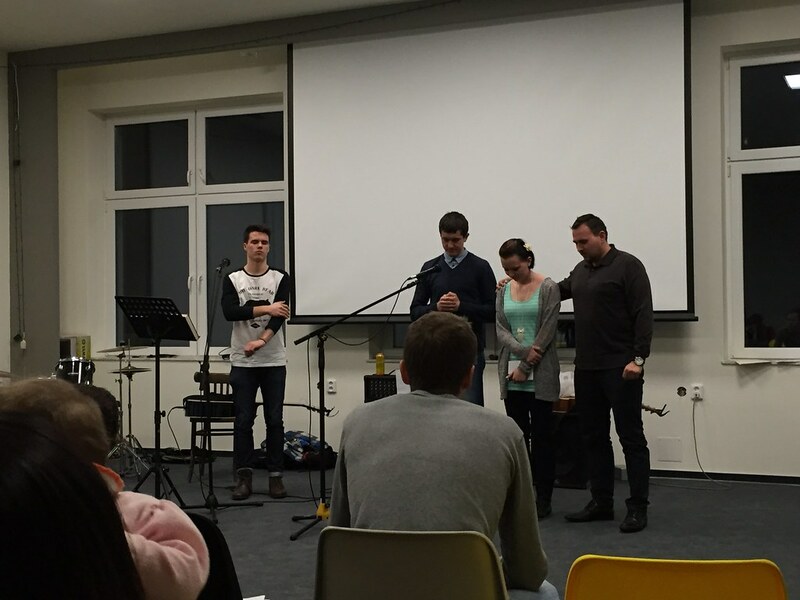 During our discussion, it became clear that we have the same passion to learn Czech and do greater ministry here. I loved Landen’s statement that he’s “learning Czech to love Czechs” (this may be a paraphrase, but the gist is there). His heart is to learn their language so he can have deeper relationships and more impact on them (e.g. love them), not to mention he would be able to preach and teach God’s Word. As we talked, they both shared their desire to help Bethany and I get more opportunity to learn language and so we’re basically going to work together in this process. With Jenny’s help as a native Czech speaker, we are going to use some of the tools we all learned at pre-field training in the States. This should give Landen, Bethany, and me more opportunity to study and engage the Czech language on a consistent basis. This is huge! All of that is really exciting to me and it seems like a huge answer to prayer! As we talked tonight I could feel my heart stirring with greater passion and excitement in a way that I haven’t in quite some time. Jenny and Landen have such a great heart for Czech and we share their passion to see God work in mighty ways here, even through our efforts in language. Many people have been praying, as have we, and I feel like this simple discussion was such an answer to prayer and the work of the Spirit of God in all our hearts. I’m excited to see what the Lord does with this and how it will have a greater impact for the Kingdom of God!